Dundee United have agreed the signing of striker Thomas Mikkelsen from Odense on loan until the end of the season. The Tannadice club, pushing for an instant return to the Premiership, have received international clearance for the 26-year-old Danish striker. 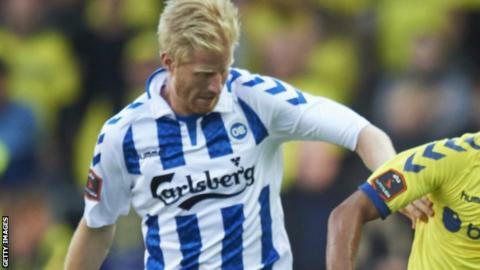 Mikkelson has scored two goals in 12 games for Odense this season after a loan spell at IFK Gothenburg last year. He goes straight into the squad for Friday's game with Championship leaders Hibs at Easter Road (1945 GMT KO).